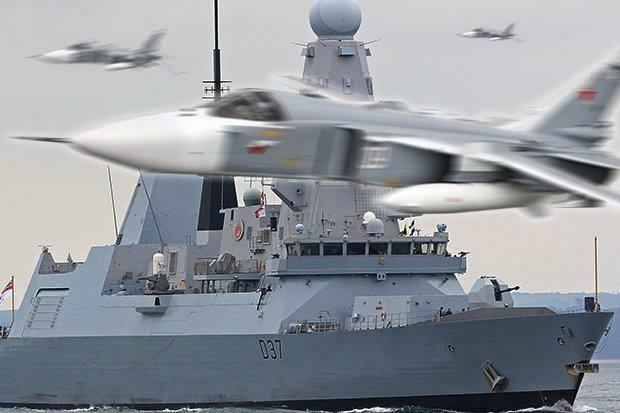 In a show of "brazen hostility," 17 Russian fighter jets 'buzzed' Britain's Royal Navy warship, HMS Duncan, in the Black Sea near Crimea. Stunning footage of the event was broadcast on a UK Channel 5 documentary following the operations of the Type 45 destroyer in the volatile region. "Over the past year, HMS Duncan and her crew have embodied the key role the UK plays in NATO. "As NATO flagship, she has faced down brazen Russian hostility in the Black Sea with jets buzzing overhead, been stalked by Russian spy ships and played a vital role protecting NATO allies during the British, American and French strikes against Syrian chemical weapons facilities. "Through her deployment, this world-leading ship and her crew epitomised the nation we are going to be as we exit the EU – a truly global Britain which is outward-looking and engaged on the world stage." "HMS Duncan is probably the only maritime asset that has seen a raid of that magnitude in the last 25 years." "I think their tactics are naive. What they don't know is how capable the ship is. "When you see that much activity, I think it reinforces the nature of what people expect at the moment and why there is a challenge from Russia." 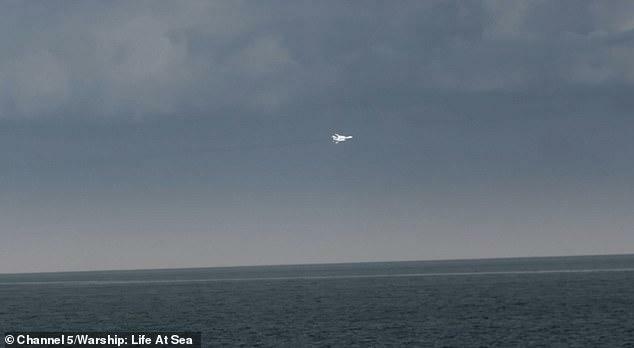 The footage shows the jets circling the ship before returning to Russian airspace with one of the pilots sending a message to Duncan's crew, saying: "Good luck, guys." "They had 17 aircraft, we have 48 missiles - I think we're going to win that one." And while the headlines around this "hostile" act are sure to raise already extremely high tensions between Ukraine and Russia, pointing to Russia as the "aggressor" in an effort to solidify public opinion (in NATO) against Putin, the dramatic video is from May of this year.